The volunteers who donate their time to Redemption Housing share first-hand in the support circles we are forming around our residents. They work closely with staff to holistically serve our residents as they transition back into the community, find meaningful employment, and locate long-term housing. Redemption Housing offers opportunities for many different types of volunteer work. We ask that all of our volunteers be over the age of 18 and be willing to make a regular time commitment. Take a look at our current volunteer needs to determine which option might be right for you, and fill out a Volunteer Application today! Business Manager – The financial management of Redemption Housing, including budget forecasting, accounting, purchasing, and general business functions, is the responsibility of the Executive Director. A volunteer Business Manager helps to manage some of these responsibilities on a weekly basis, including assisting with preparation of financial statements, maintaining cash controls, supervising the payroll and personnel administration, purchasing, maintaining accounts payable, and managing office operations. Case Managers – Case Managers provide holistic and comprehensive case management services to all residents including: intake assessment, benefit assessment, goal setting, long-term care plan development, individual money management, tenant education, advocacy, and referrals. They maintain a caseload of 1-2 residents, meeting with them weekly or bi-weekly for up to 12 months. Hospitality Team – This team of volunteers coordinates meals for the residents of Redemption Housing. They cook with residents, teach them about basic nutrition, and eat meals with them on a regular basis. Maintenance – A key value of Redemption Housing is creating a hospitable environment in our homes. It has been years since many of our residents have lived independently of an institution or organization. As they prepare for living on their own they might need to be taught a number of basic living skills. Volunteer Maintenance will help make this possible by joining our residents in cleaning windows, sweeping floors, walking the grounds for trash pick-up, vacuuming, and helping with preventative maintenance issues. This position is relational in that the volunteer will work with residents to teach them these basic living skills. Mentors – Reentry mentors are a benefit to returning citizens in many ways. They can provide transportation to prearranged appointments, be there to provide emotional and spiritual support during the transition, take them to church, ensure they get connected with a local support group, or serve as an accountability partner. Newsletter Coordinator – Redemption Housing’s newsletter is published quarterly, and email updates are released monthly. The Newsletter Coordinator writes articles on topics related to the organization, which may be suggested by staff, board members, or volunteers. All articles are submitted to the Executive Director for review, after which the Newsletter Coordinator compiles the newsletter using pre-existing templates. The Newsletter Coordinator is responsible for keeping the organization’s mailing list up to date and for overseeing a team of volunteers who stuff, seal, and mail the newsletter. RH staff members are also available to help generate ideas or provide data if necessary. The amount of time spent on each newsletter varies by the volunteer’s work preferences, but deadlines must be strictly observed. Teachers – Teachers assist primarily with Life Skills and Bible Study classes. They teach a class of 6 to 8 long-term program guests in helping them to prepare for the transition to independence. 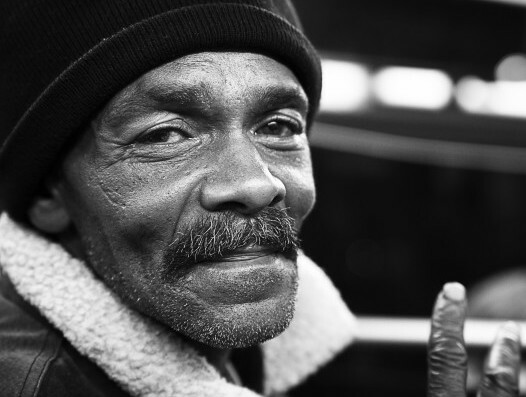 We are a transformational recovery organization that offers faith-based programming and community support to Philadelphians coming out of incarceration and homelessness, guiding them toward healthy and meaningful lives. We have a house! We need your help! Buy Coffee: Support Redemption Housing.